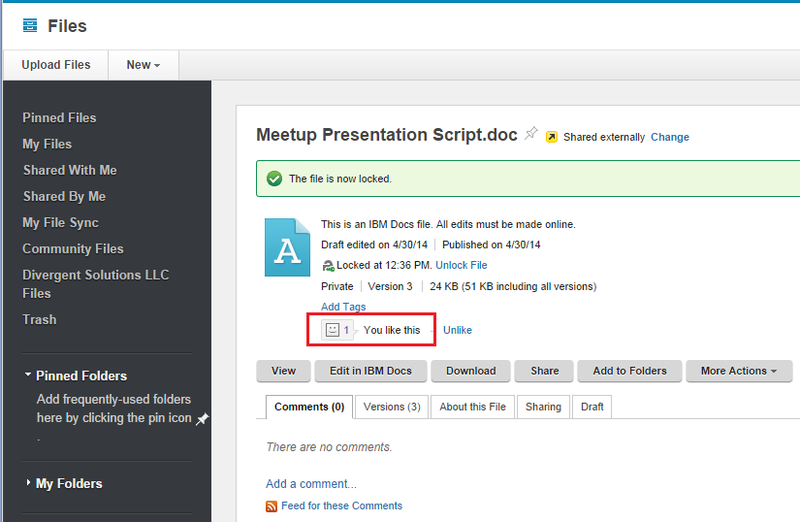 The Like feature in IBM Connections is a great way to show you “Like” a file that has been posted. But don’t get caught up in the mindset of Facebook “likes”. This feature can also be a shortcut for a document review cycle. Instead of creating todos in an Activity and assigning it to each person, you can just send them all the link and ask them to “Like” it when they finish their review. Sounds almost too obvious, but I see people overlooking shortcuts like this often. This applies to the “home” edition of IBM Connections as well as in IBM SmartCloud Connections. Comments Off on IBM Connections in the Cloud New Service Update! If you’re attending IBM Connect 2014 next week you can get much more out of the experience by taking the time to get set up in the community on the conference Connections community well in advance of arriving in Orlando. This will give you access to the session information, allow you to create your own schedule, connect with other attendees, and get a more socially interactive experience at the conference. First, you should have received an email from connect2014@us.ibm.com with your login credentials. Your credentials for logging in should consist of long numbers. Secure, but difficult to remember if you’re trying to log into the website. My advice: don’t. Instead, go to the app store on your mobile device and download the IBM Connections app. I actually like using the app better than viewing it in a browser. The website is great, but in the app everything just flows a bit more smoothly. But best of all, you don’t have to keep logging in. Enter your credentials once and you’re done. 1. Download and install the app on your mobile device. You’re good to go. Start by entering your profile information so people know more about you. Be sure to post a photo of yourself (a photo or bitmap of anything other than you is really quite useless. A simple head shot is perfect.) 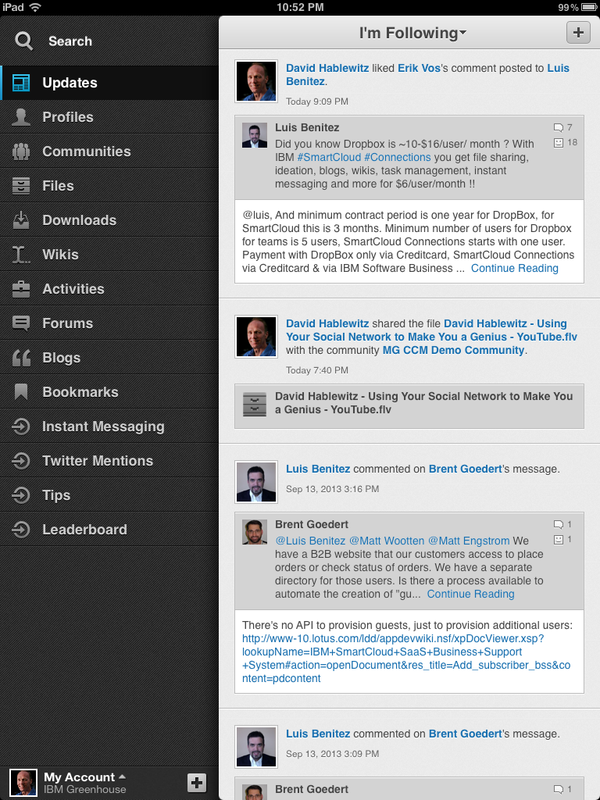 Add tags about yourself to indicate your areas of interest. 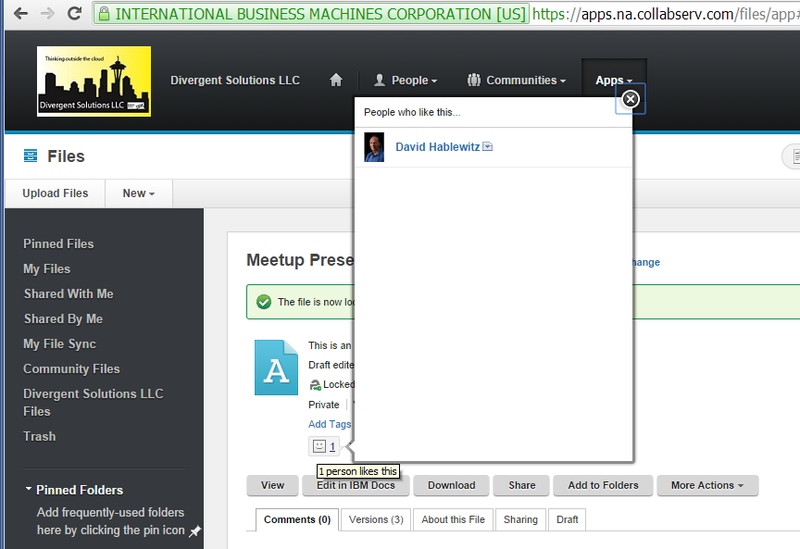 Next, go into the profiles and search for people you already know and add them to your network. After you connect, tag them with relevant tags that will help define who they are. Then go into the schedule area and add the sessions to your schedule so you have a plan. Unfortunately, the forums do not appear to be available via the app. This is disappointing given that most people will want to interact on the forums via their mobile device. Who wants to log into a website to get to the forums, especially with those numeric credentials? Still, I think you will find the app very handy for getting the most out of the conference. See you at IBM Connect O’Sphere 2014! Great news if you are using the Connections Content Manager (CCM). CCM is the version of FileNet with functionality enhanced by IBM Connections. Nice that in the latest release you can now approve files from the mobile app. Read more at Luis Benitez’ blog. 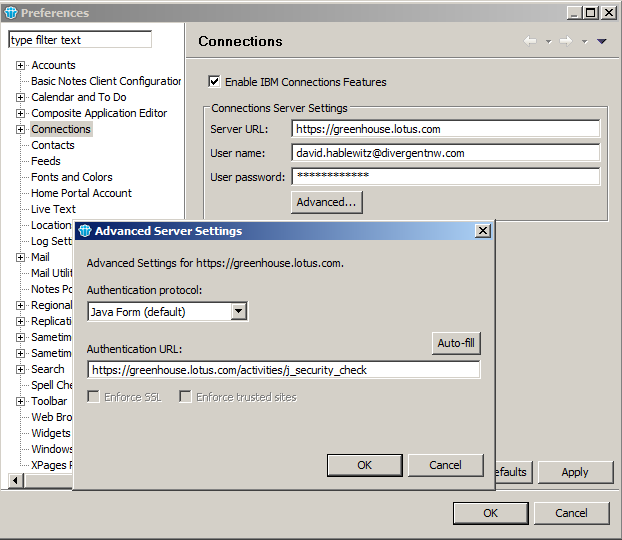 And if you aren’t already using it, read this article to get the Connections plug-in for IBM Lotus Notes too. 3a. If you don’t find it at the top of the Most Popular list, you can select IBM Connections in the product list. 4. Click IBM Connections Plug-ins for IBM Notes. The description page will appear. 5. Click on Start Download in the top right corner of the page. The License Agreement will pop up. 6. Click I Agree. The download button will now appear in the top right corner. 7. Click the icon to download. It will prompt for where to save the file in the usual way depending on your browser. (These screen shots happen to be in Firefox.) The file is about 80 MB. 8. Once the .zip file has downloaded, unzip it. You will find it contains 3 zip files, one for each supported operating system. 9. Unzip the one you need and run the installer as per your OS. For Windows it is setup.exe. When the installer runs, it may prompt to be trusted. Click Yes. Then the language option appears. 10. Choose the language and click OK. The installer will run. 11. Click Next. The license agreement will appear. 12. After printing and reading the agreement and getting written approval from your legal department, select to accept the license agreement and click Next. It will remind you that Notes must be closed before continuing. 13. Close Notes if it is open and then click Next and then click Install. The installer will take surprisingly long considering how small it is. Be patient. 14. Launch Notes. Pull down File – Preferences. Click on the Connections section. 16. Click on Status Updates, Files or Activities to expand the section and see content from Connections. Note that when it is first expanded it may take a bit longer to load the content. So be patient. That’s it. Be sure to search for me in Greenhouse and connect with me there and I can share some communities and activities I have already made to demonstrate how they work within connections. And don’t forget to go back and browse all the other cool apps at Greenhouse as well as the iTunes app store for iPhone/iPad apps on Connections, Sametime, and more! Let me know if this was helpful. I am considering doing these as a video. Would you prefer that format over an article? If that doesn’t fix it, there are several knowledgebase articles on the topic. Search for that error message to find them.